Me and my husband-to-be sat down to plan the music for our wedding ceremony in January 2011. Now, as two musicians, we love music and are pretty immersed in it on a daily basis. Yet we drew a blank. It took several attempts (and fallings out) to figure it all out. Maybe you can relate to this. Pinning down the soundtrack to kick start the-rest-of-your-lives is, by nature, a little daunting. Unless you're one of the lucky few who a) spent your formative years with your partner and formed your musical taste in tandem (sweet), b) met at a Jason Mraz gig where your eyes met across a crowded room as the chorus of 'I'm Yours' sang out (just lucky), or c) you knew aged 12 what music you'd be walking down the aisle to and no future partner was ever going to have much say in the matter... you might be feeling a bit stuck. Or maybe a lot stuck. There's lots to think about when it comes to the music for your wedding, even just for the ceremony; the entrance of the bride (must induce the right amount, and right kind of weeping) signing of the register (can you talk during this?! ), any congregational songs (umm) and recessional music (must leave guests wanting to skip out the church). Frantic google searches suggest Celine Dion or Pachelbel's canon. Perhaps not super helpful (although both amazing! )And that's not even thinking about reception music, the First Dance and the evening Party band... phew. And now you're sat at the table with your spouse-to-be armed with pen and paper, laptop with google open (still not helping)... and a gaping hole in your brain where all your favourite songs used to be. If this sounds familiar, you're not alone. And thankfully, help is at hand! Here are some suggestions and tips for choosing the perfect music for your perfect day. •Firstly, make sure you think about every moment where you need music. It's easy to overlook something. Our handy little guide should help you with this! •Carefully chosen music for during your champers / cocktail reception really has the power to create the atmosphere you're looking for, whether it be upbeat and fun, or classy and jazzy. •Your party band... This is a daunting decision for couples – will they be any good? Will anyone dance? With our resident band 'TheKillerGroove', they ARE good, your guests WILL dance... and they're super nice to boot. •DON'T WORRY if you haven't got an 'our song'. Not everyone does. We didn't! Use recommendations from friends, or a small company such as Hitched who care lots about getting it just right for you. •Reserve the right to not be original. Some songs and pieces of music are classic and are often called upon... for good reason. •BUT if you want to do something totally bonkers, go for it! We do flashmobs... just sayin. •Be true to yourselves...If you are getting married in a church, don't feel like your music has to reflect the traditional surroundings... it doesn't. You can walk down the aisle to whatever you darn well like! Likewise, if you're getting married in a more un-traditional venue, why not make it super personal with music that really reflects you as a couple? Get in touch with us for more ideas! •Live is always best. 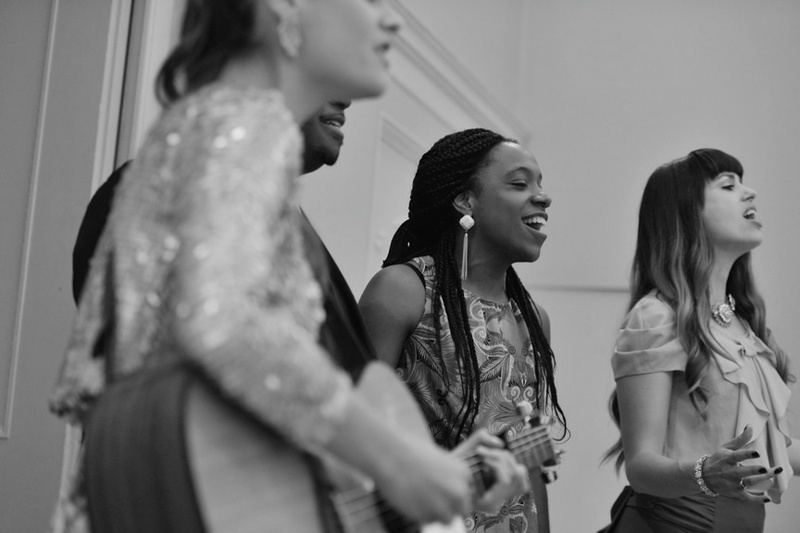 Invest in high quality live music for your wedding day and you'll remember it forever. Your Wedding Cake - Where to Start!